Fanx® Salt Lake Comic Convention™ is back and we’ve got your chance to win passes! Fanx® is a world-class pop culture phenomenon that brings the best in entertainment to the Intermountain West. 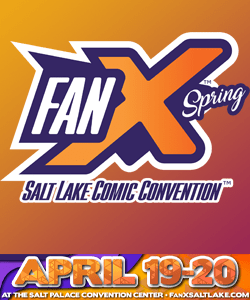 Fanx® Salt Lake comic convention is all about celebrities, comic creators, photo ops, autographs, authors, cos-players, panels, merchandise, workshops, special events and more.